This is my take on the Global Design Project#133 here. 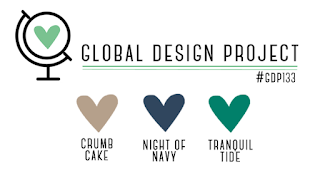 It's a color challenge to use Crumb Cake, Night of Navy and Tranquil Tide. There's actually no stamping on this card. I just used my markers to draw some lines on some Watercolor paper then blended them with my Aqua painter. 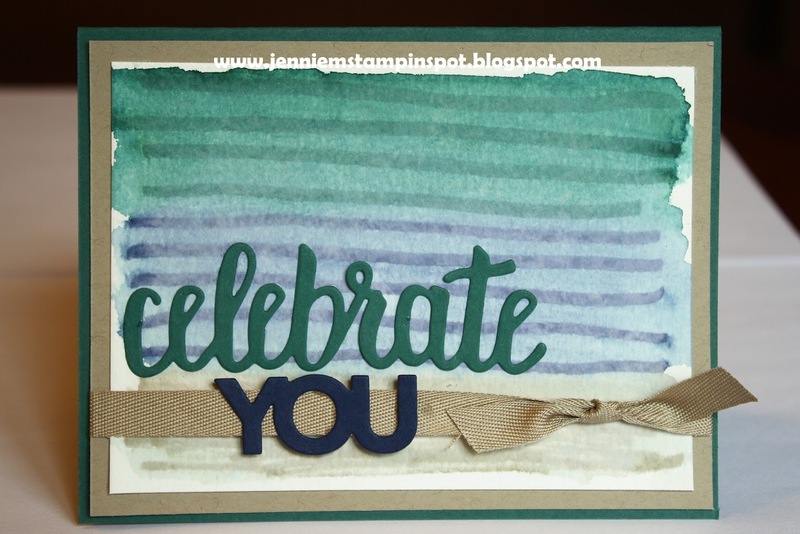 The words are from the Celebrate You Thinlits. And then I added some 3/8 inch Crumb Cake classic weave ribbon.